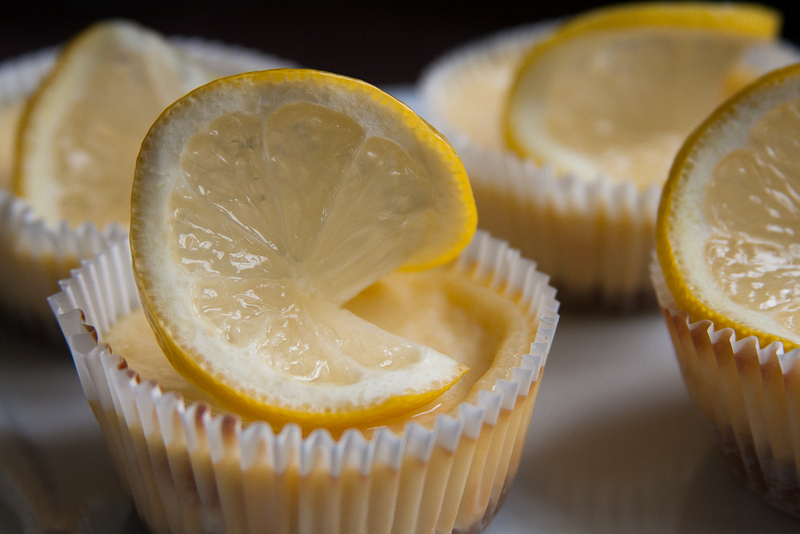 These lemony CheesCupCakes are just yummie and super easy to make. The base is made out of regular cookies mixed with melted butter, chilled in the fridge until firm. The topping is made with cream cheese topping complimented with lemon zest as well as lemon juice to get a fresh lemony taste. All has to be baked in the oven until the CheeseCupCakes are set, and than cooled for several hours before decorate them with slices of a Bio-Lemon. TIP: Let it first chill in the oven before transferring it into the fridge, I find that helps a little.